Here’s the most recent trailer for Marc Webb‘s “The Amazing Spider-Man” though Sony has been pulling it quite often, so I have no idea how long it’s going to be up. Why does this movie not move me? Part of it I think is due to “Spider-Man 3” having come out in 2007, so I am not entirely sure if it isn’t a bit early for a remake. It doesn’t feel like the character has been away for any length of time, which for me dampens enthusiasm for a reboot. Then there’s Sony owning the rights to the character, which bothers me because when Marvel Studios controls the rights to their characters, we get films like “Iron Man,” “The Incredible Hulk” and “Thor” (I enjoyed “Iron Man 2,” but it felt somewhat rushed). 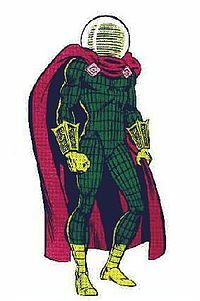 Then there’s the villain, which is The Lizard , though if you ask me Mysterio is a much better choice. I mean, he’s perfectly suited for the movies, and happens to be a special effects master who uses the techniques that he’s learned to commit crimes. It’s perfect. I have included an image of what he looks like below. Then there’s the fact that the trailer seems to repeat an origin story that most fans are familiar enough with that its necessity is debatable. 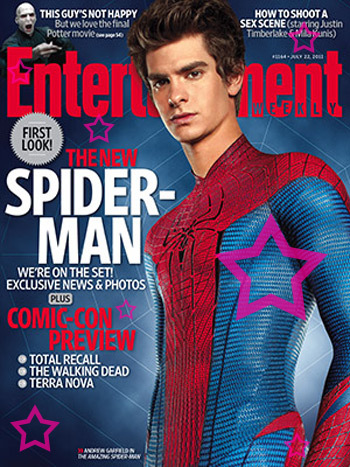 Then there’s the length of Andrew Garfield’s neck. I know that some will think that I am nitpicking–and I am–but it almost seems giraffe-like as it stretches out from his shoulders. It’s distracting and almost looks like he would be better suited to play a young Mr. Fantastic, as opposed to Spider-Man. Posted in actors, commentary, directors, Movies, Robots and Zombies, Trailer Park.Tagged Andrew Garfield, Marc Webb, Sony, The Amazing Spider-Man.